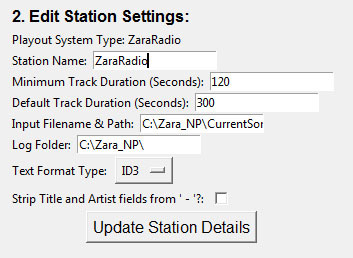 Want to send Now Playing song data from ZaraRadio 1.6.2 to your RDS Encoder, Website, or Streaming Server? MetaRadio makes this possible. This article explains the setup of MetaRadio and ZaraRadio. It’s been over ten years since I first used ZaraRadio myself, and it’s still a vary popular automation system. However, it doesn’t implement a very structured way of outputting data. We’ve developed a clever solution to this in MetaRadio, which allows you to utilise various filename formats and/or ID3 tags. You can sign up for a free 30-day trial of MetaRadio. 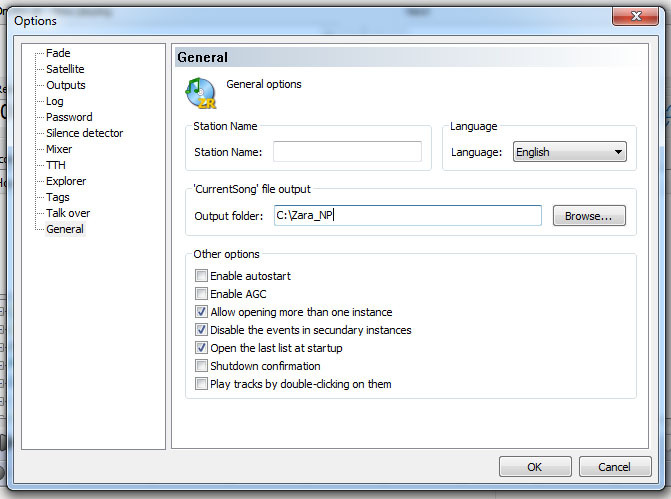 ZaraRadio supports exporting a CurrentSong.txt file every time a new track is played on-air. It also write to an activity log file. MetaRadio takes advantage of both of these files. That’s it for the ZaraRadio side of things. Now we can move over to the MetaRadio setup. In MetaRadio Config, you can add a ZaraRadio station. You’ll need to specify the full path to the CurrentSong.txt file, and also the folder that contains the log files created by Zara. You can use the ‘Text Format Type’ ‘%artist%title’. Restart the main MetaRadio app and confirm ZaraRadio is connected. You should see the track information displayed whenever the current on-air song changes. Now that MetaRadio is receiving data from ZaraRadio, you can configure any outputs (RDS Encoders, Website, Streaming Servers, etc.) as needed.